The KREAFUNK toCHARGE is a nicely designed Power Bank. Carry it with you and you will never be without power for your speaker or phone again. 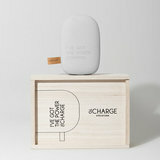 The toCHARGE is a beautiful Power Bank. The colors of the power bank fit perfectly with the other KREAFUNK products and the design is also at least as beautiful. 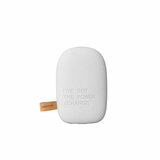 It has a built-in chip that prevents the power bank from being overcharged or over-discharged. KREAFUNK has a large collection of compact wireless speakers, which makes them the perfect gadgets to carry with you.